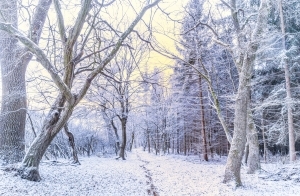 LongIsland.com - Your Name sent you Article details of "Snow Storm Updates, Winter Family Fun, Exciting Events, News & More in January 3rd's Newsletter!" Snow Storm Updates, Winter Family Fun, Exciting Events, News & More in January 3rd's Newsletter! We've got the scoop on all the best ways to make the most of the snow day, and enjoy the first weekend of 2014! The Pc Girl is an IT Professional having worked with numerous facets of computer technology for over 12 years. The Pc Girl has many options that can assist you with your business and personal needs, whether it's computer repair, recovery, website maintenance, internet research, or anything related to using the Microsoft Office Suite. The Pc Girl can also assist you with keeping you or your business up on the cutting edge of social media. Need help managing your calendar, printing letters, or anything else computer related? Visit the Pc Girl's website today. What a way to be welcomed by 2014 - a Winter Snow Storm! Not even a week into the New Year, Long Island has been hit with a winter storm that has left some areas buried under almost a foot of snow. Although some students were scheduled to resume class on Thursday and Friday, many were treated to an extended Winter Break, after schools were forced to close for a Snow Day. Luckily, it looks like the roads are well on their way to being cleared, and Long Island should be back to normal by the weekend - perfect timing for anyone looking to take advantage of all of the winter fun! Enjoy Some Heart Pounding Fun at HV This Weekend! If you're in the mood for some adrenaline pumping fun, then be sure to check out High Velocity Paintball of Bay Shore! Whether you're a newbie or a pro, HV Paintball's vast indoor facility is perfect for a day of action-packed fun for you and your friends, and their on-site ProShop can outfit you with all of the gear you'll need to have a great time. Their facility is also perfect for parties and corporate events - what's more fun then a bit of friendly rivarly? If you're looking for some truly exciting entertainment, call High Velocity today, and get ready to gear up and get out there! For more information, please visit their website, or call 631-242-2096. Winter Storm Hercules Left Lots of Snow - Find Out Just How Much! The first winter storm of the year is also the largest of the season so far. Both Nassau and Suffolk saw heavy snowfall with totals so far reaching up to 12 inches in some towns. The LIE was closed on Friday during the early morning hours after Gov. Cuomo declared a State of Emergency, and the LIRR deployed extra manpower to clear off the stations and tracks so public transport could run as efficiently as possible in the wintery mess. Large quantities of snow will, however, force the trains to run on a weekend schedule. Many roads are still not completely clear, so caution is advised for those hitting the road today. To Get the Scoop on Snow Totals for All of Long Island, Click Here! Start The New Year Off Right at this Spectacular Singles Bash! Don't let the snow get you down this weekend! This Saturday, from 7:30 PM until 12:30 AM, join Doc's Millenium for their first big bash of 2014 - their premier singles dance party, happening at Villa Russo! Tickets are only $24 per person, and include a lavish dinner buffet, two spacious ballrooms for dancing, an amazing DJ to keep you moving all night long, as well as a delicious dessert and coffee bar as the evening's festivities begin to wind down. There will also be a full cash bar available. Why not start of 2014 by meeting someone new - call today, and reserve your ticket for tomorrow night's event! For more information, please visit their website, or call 718-279-8596. Looking to start the new year in a relaxing manner? Join the peer-led meditation group at the South Nassau Unitarian Universalist Congregation in Freeport that will focus on strengthening your current practice or teach you about meditation if you're a beginner. The meditation group is free and will be held this Saturday at 9:30 AM. Please call 516-623-1204 with any questions. If you are in search for the perfect preschool for your toddler, head to the Emma S. Clark Memorial Library this Saturday for the preschool fair. The event will be held from 10:00 AM-1:00 PM and will give parents and caretakers the opportunity to explore many of the local preschools in the Three Village Area. All are welcome to join, no registration required! You can call 631-941-4080 for more information. Welcome the new year with a short winter stroll this Sunday at Caumsette State Park in Huntington. The walk will take place on the grounds of the park at 12:30 PM and will go for about 1.5 miles. Here is the perfect chance to see what the park looks like during the chilly winter months! Attendees must be 18 or older to join. If you have any questions regarding the stroll, please call 631-423-1770. Enjoy an incredible "Tuscan Villa" Experience this Saturday at Villa Russo for the 2014 Season Premier Singles Dance Party! The party will start at 7:30 PM in the two-level spacious ballroom which will feature delectable cuisine with premium service. Also indulge in a two line lavish buffet, a full coffee bar, dessert and a full cash bar. DJ will be spinning all night for your entertainment while you dance the night away on the large ballroom dance floor. Self parking available along with free indoor Valet service. To Check Out Our NEW JANUARY Family Fun Guide, Click Here!